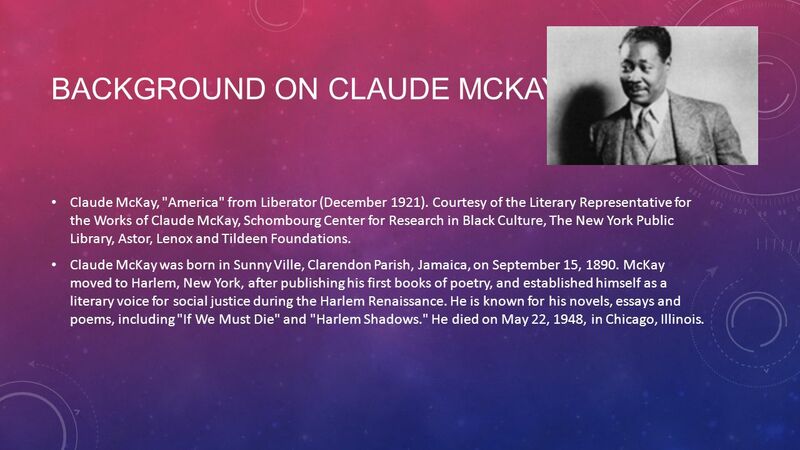 McKay's "Outsider" Theme Claude McKay was an important figure during the 1920's in the Harlem Rennaisance. Primarily a poet, McKay used the point of view of the outsider as a prevalent theme in his works. This is best observed in such poems as "Outcast," "America," and "The White House... 805 words. 2 pages.